Mr. 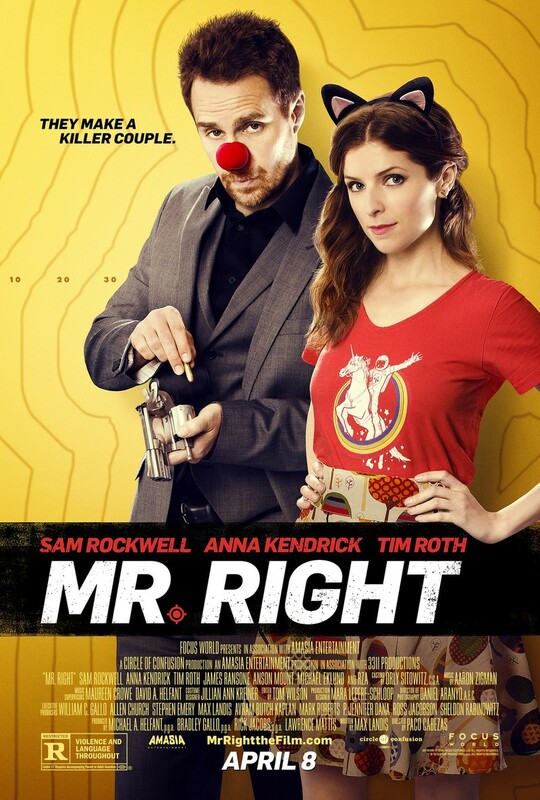 Right DVD and Blu-ray release date was set for June 7, 2016 and available on Digital HD from Amazon Video and iTunes on April 5, 2016. Martha is a young woman who is devastated from having just endured a messy break-up with her last boyfriend. As she is trying to pull herself together, along comes a man who seems tailor-made for her. The two of them quickly fall into a passionate romance, but he has a very troubling secret. He used to be a hit-man, and now lots of people from his former life are trying to track him down and dispose of him. Martha is along for the ride as he goes on the run; will this tear them apart or bring them closer together?